Do your eyes look tired? Are you upset by wrinkled skin around the eyes or hooding of your upper lids? A surgical eyelid lift may seem like a drastic and scary proposition. Luckily, there are technologies today that allow you to subtly “lift” the eyelids without incisions. If you have mild wrinkling around the eyes and drooping of the upper eyelid, you might be a good candidate for a non-surgical eyelid lift using Microcurrent treatment. Microcurrent treatment is another non-invasive method to “lift” sagging skin on the upper eyelids. Using gentle electrical stimulation, Microcurrent promotes collagen and elastin production, while also increasing blood circulation and cell regeneration as it gently “re-educates” the fine facial muscles. A tiny electrical current is administered through two Q-tipped probes and applied to the muscles of the eyelid to improve their tone. In the process, no harm is done to the skin, so all you will feel is a gentle tingle. A series of 12-20 treatments are usually required over a period of months. Your treatments will take 60-75 minutes, and you will begin to see results after the very first appointment. Thereafter, booster treatments every few weeks (which take a shorter time) are necessary to maintain the muscle tone. 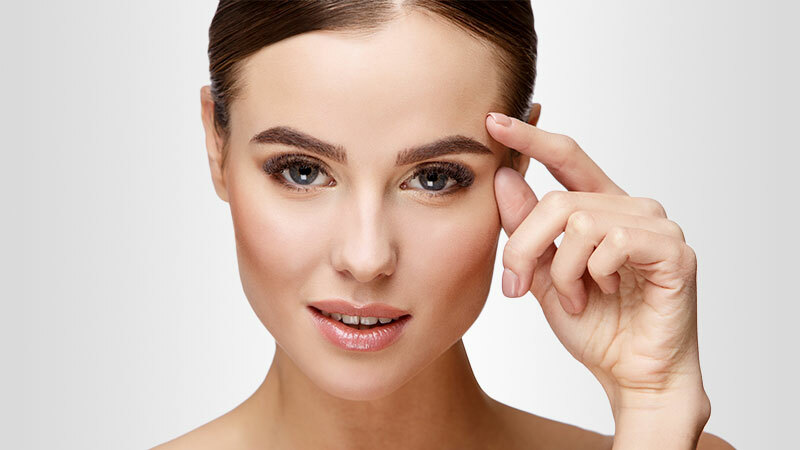 If you are ready to get started with Eyelid Lift treatment, call Natural Foundations in Capitola at (831) 325-0202. Call now for a complimentary consultation.